Human hair extensions is the best type of hair in the world. Almost women, who love making beauty especially their hair, choose human hair. Because they want to own a beautiful natural hair. In order to have this thing, hair extensions they bought must be made from 100% human hair. In the recent market, there are a lot of companies asserting that their products made from 100% human hair. Don’t worry! Today, I will show you how to find good 100% human hair extensions suppliers. So, what is 100% human hair extension? 100% real human hair is hair extensions that have never been changed by a chemical process. This process includes dyeing, coloring, styling, bleaching, etc. Real human hair still keeps intact the cuticle from bottom to top. A 100% human hair extension means that when the hair collected. It collected from only a virgin hair donor. Basically, each human hair extension is collect from each different donor. This means that the hair never chemically processed. And comes from hair donors with long strong hair 100% real human hair. As you know, have two types. One type of hair is often called ‘virgin hair’ and the other type of hair is ‘remy hair’. Some hair extension users think that virgin hair is worn immediately on the head and can never be colored. They believe that if the hair is colored after being collected. Because of that it is no longer considered “virgin hair extensions”. That is simply not true when it mention about hair extensions. Real human hair (in the hair extension world) means that the hair collected is virgin, healthy, and has no grays, split ends, or chemical processing at the time of collection. Now, what differences the hair extension companies have is HOW they process this fresh virgin hair. We use eco-friendly processing system and a slow color bath to dye the hair, ensuring that the quality remains the same after coloring the hair. 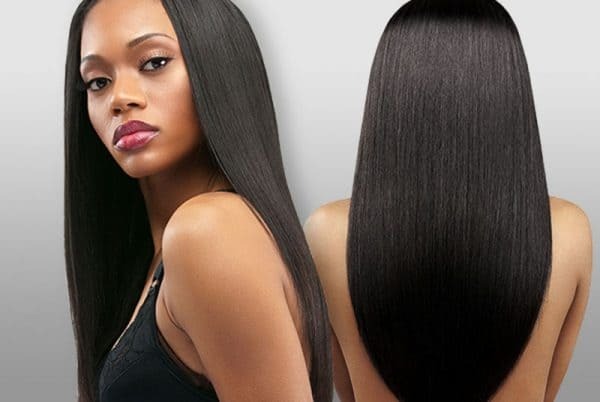 The process of the virgin hair is most significant, and many companies tend to use the harsh process for faster production, which make the lifespan of the hair extensions become shorter and the quality of hair becomes lower. Virgin hair can last 1 to 2 years if you care for them properly. What about Remy hair extension? ‘Remy’ is the term referring to the characteristics of the hair and the method used to manufacture the hair extensions. You know, Remy hair has features such as uni-lateral cuticle direction, which means the hair follicles all go in one single direction. And, Remy hair collected in a method in which all hair strands stay brought into line in the natural direction as it grew, top at the top. And ends at ends, to maintain the natural texture pattern and cuticle direction. When all hair strands follow the same direction, there will be almost no tangling(if processed suitably). It is said that Remy hair has a cool and silky feeling when you touch it, which is an easy way for us to distinguish Remy hair and non-remy hair. If Remy hair extension mixed with non-remy hair. This hair extension’s lifespan is 3 to 6 months with regular maintenance, even after 2 to 3 weeks when that hair starts to matte up. However, a high quality 100% Remy hair extension can last up to a year or more than a year. At our manufactory, we process our Remy hair gently with an advanced technology which ultimately preserves the cuticles even after processing. So they remain intact. Virgin hair and Remy hair are the best quality hair in the world, which was verified by many experts and user. Both of them have a high price, especially expensive for many people. However, you have to pay a great amount of money to have a beautiful durable healthy and natural hair extension, which happens once. But which will happen more once, even waste more money if you buy a low-quality human hair extension. You don’t need to go far anywhere. I ensure that Layla hair’s products are completely made from 100% human hair. Layla Hair is one of highest quality human hair extension suppliers in Vietnam. You can contact us right now through this website so as to enjoy our high-quality human hair extensions.